Google’s decision to change its name to Alphabet has come as a surprise to the average internet user. For years the word ‘Google’ has been synonymous with ‘search’ on the World Wide Web. But this renaming is not going to affect its services related to the internet. Strictly speaking, Google remains Google, or at least the section that pertains to its internet related activities. Essentially, this is an attempt to restructure its organization. The main motive for this sudden announcement seems to make sure that Google retains its original activities and identity as a search engine and related services like Advertisements, Google Maps, Android, YouTube, Photos, Apps and so on. While the other investments in startups and technological advancements would be developed independently. According to its founders, under this new arrangement all internet related services and products will now remain under the Google name and it will be a wholly owned subsidiary of Alphabet. Up till now Google had under its umbrella several diverse activities that were completely dissimilar to its main field. 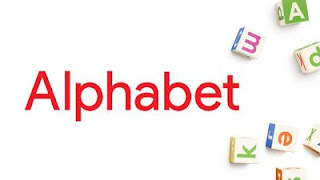 After this reorganization, all other companies that deal with varied fields like Life sciences, automotive innovations, investment section, etc, will become subsidiaries of Alphabet with independent management. In other words, Fiber, Calico , Nest, Life Sciences, Capital, Google X along with Google itself will become subsidiaries under Alphabet, the main holding company. But what made the company select the name Alphabet? It is being said that this name appealed because of its various facets. You can connect with it as ‘the alphabet’, a collection of letters that made written communication possible. In a way, this is the most innovative invention that changed the way mankind communicated. Similarly, Google prides itself as an innovative company that seeks to make such sweeping changes for mankind in general. On a more pragmatic level, the company indexes its data on the basis of the alphabet. Most importantly, the word alphabet can also be read as alpha-bet, wherein Alpha implies getting good returns on your investments or beating the benchmark. This sums up the basic vision of the company and its founders. The grounds given are that as each company within Alphabet will be managed by independent and competent CEOs, it will help to bring new energy and focus to the various segments. Further, the company intends to introduce segment reporting for its quarterly reports. Besides, it is envisioned that this move will help Google to realize its stated ambition of aiming for more dedicated and focused innovations in technology. Its founders also advocate this as a long-term strategy that will benefit and strengthen the company. Most importantly, this will allow for more transparency in the activities of the company. The company has clarified as far as its shareholders are concerned, their holdings will remain the same and only the name would change. A lot of speculation abounds about the real reason for this change in name and the restructuring of the company. According to market analysts the previous arrangement made it hard for investors and shareholders to understand the extent of Google’s interests and investments in innovative schemes and the returns thereon. This restructuring is seen more as an attempt to clarify the company’s working and capital allocation to its various segments. As this will clarify the picture as to how much the various innovative speculations gain profit, it will spruce up the image of the company. In short, this could be a way for Google to show its investors that its investments in futuristic developments make sound financial gains and are not a burden to the company. Consequently, the response from the market has been favorable with Google stocks rising immediately.